Energy Insights: Special Report: 122: Celebrity Cars - What Do Celebrities Drive? 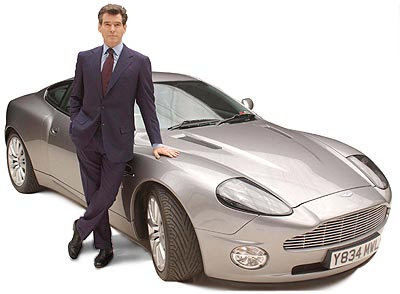 Energy Insights:122: Celebrity Cars - What Do Celebrities Drive? 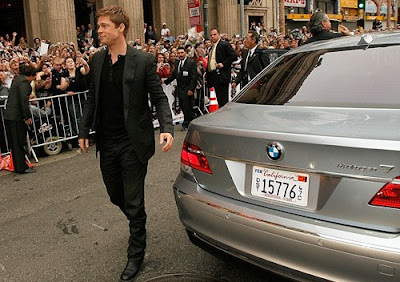 EnergyInsights > 122: Celebrity Cars - What Do Celebrities Drive? Interested in what cars celebrities drive? (not much sign of eco-cars just yet - there are a few exceptions though - Brad Pitt and George Clooney leading the pack). Celebrities don’t just get chauffeured from party to party, many of them actually own, take pride in, and drive their own vehicles. Check out this list of celebrities and their cars. Kim Kardashian Drives A Bentley Continental, Range Rover. Fergie – Owns an H2. Simon Cowell drives a million dollar Bugatti Veyron. 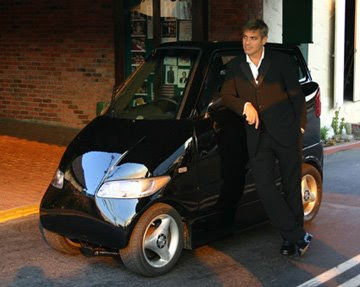 George Clooney drives the two seater electric Tango 600. 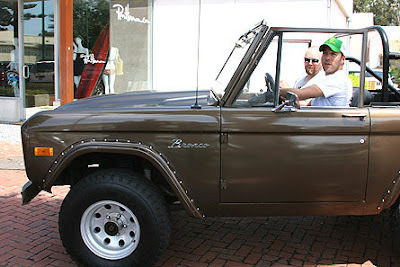 Jeremy Piven Drives A Ford Bronco. 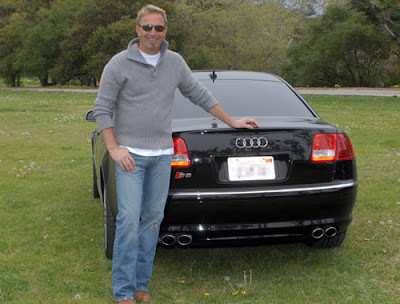 Daniel Craig Drives An Audi S6. Kendra Wilkinson Drives A DUB Edition Cadillac Escalade. 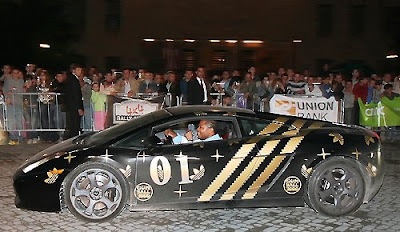 Xzibit in his Lamborghini Gallardo. Benji Madden in his 1950 Ford Shoebox. David Beckham’s Car - Rolls Royce Phantom Drophead Coup. Paris Hilton’s Car - Bentley Continental GT Coupe. 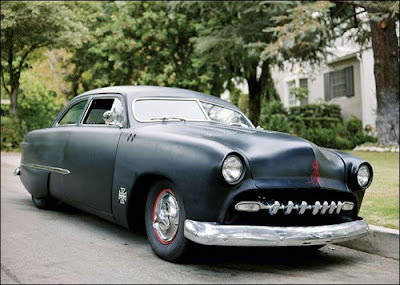 Kevin Dillon’s Car - Lincoln. 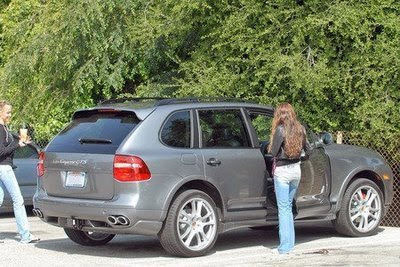 Miley Cyrus Drives A Porsche Cayenne GTS. Kristen Cavallari – Drives a BMW 3 Series Coupe. 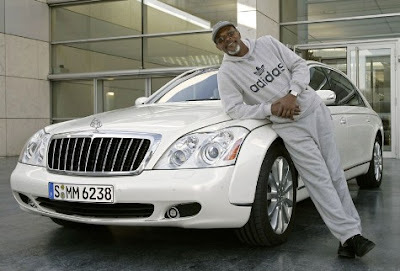 Samuel Jackson drives a Maybach 57 S.
Ryan Seacrest – Drives around in an Aston Martin. Britney Spears – Drives a Mercedes SLR McLaren and a CLK. Sienna Miller – Drives an Audi TT. 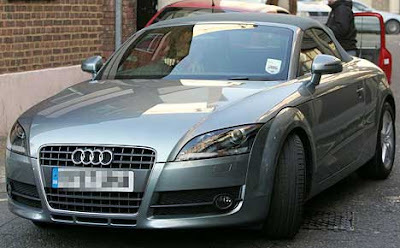 Sienna Miller Drives An Audi TT. Nicholas Cage Drives A Ferrari Enzo. Jennifer Garner Drives A Mercedes S63. Audrina Patridge Drives A Mercedes SL. Adrian Grenier Drives A Toyota Prius.